I have been a property owner in Mount Pleasant since 1988. I attended the open house at the community centre last year, had an extensive discussion with the lead planner, and came away perfectly impressed with the fact that it would be… business as usual. Mr. Mayor, there is a cancer spreading over our city. 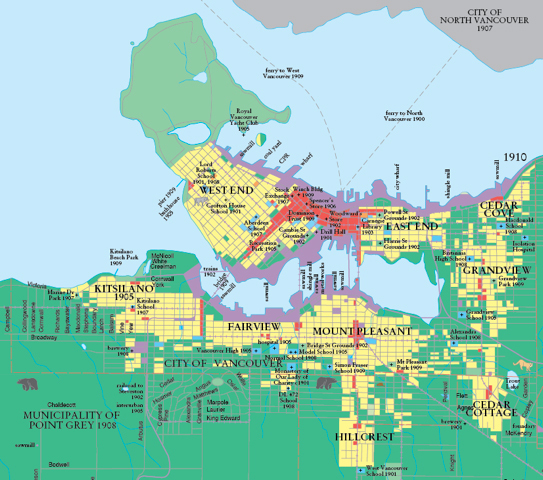 The Vancouver Historic Quartiers presents a new planning paradigm grounded in the human experience of place. We believe that the resulting quality of urban spaces is the right measure for sustainable, or “good” urbanism. In the new paradigm, we design at the scale of the neighbourhood, or quartier, rather than the individual building site. We shape quartiers as places that have lasting social value, with urban rooms serving as hubs of social mixing, shops, services and transit. 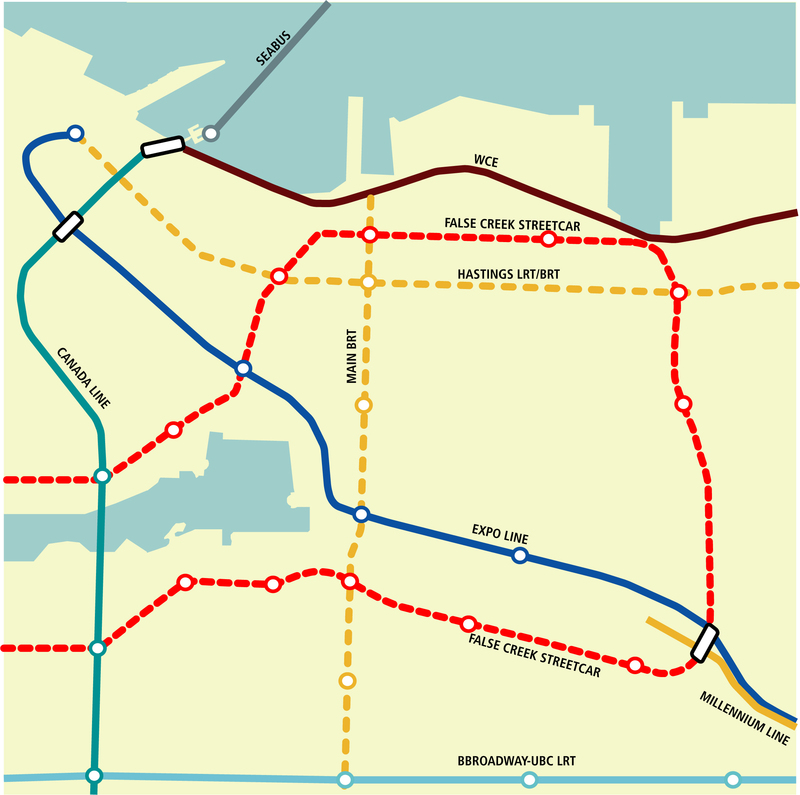 The charrette proposes using the implementation of four transit lines to support the intensification of the Vancouver Historic Quartiers, and the revitalization of Main Street, Hastings Street, Chinatown, and Japantown, together with transit implementation on the Broadway Corridor. Through transit implementation and urban design we hope to achieve livable streets, walkable neighbourhoods, and housing affordability in the , and region wide. The Charrette recommends transportation implementation that will double trip capacity in the new urban spines, and street revitalization to enhance their social functioning. Transit implementation will mediate traffic volumes on the urban spine, while adding sufficient trip capacity to make possible the removal of commuter trips from local streets nearby. Public investment in transportation, and street revitalization combine with private sector intensification to produce the new street types in the quartier. The new public realm caters to transportation needs, and supports social functioning.